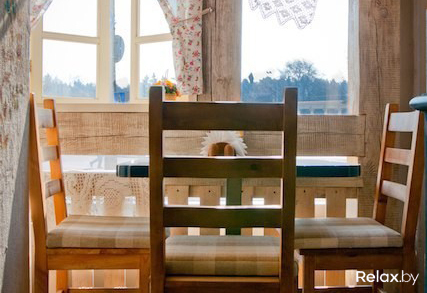 Enjoy your time in cosiest cafes in Minsk! Take in their warm and cosy atmosphere, fun interior or theme, and spectacular views. This bar is very popular among Minskers! Its name literally means ‘Freedom, 4’. The loft-style interior is decorated with wood and metal elements. 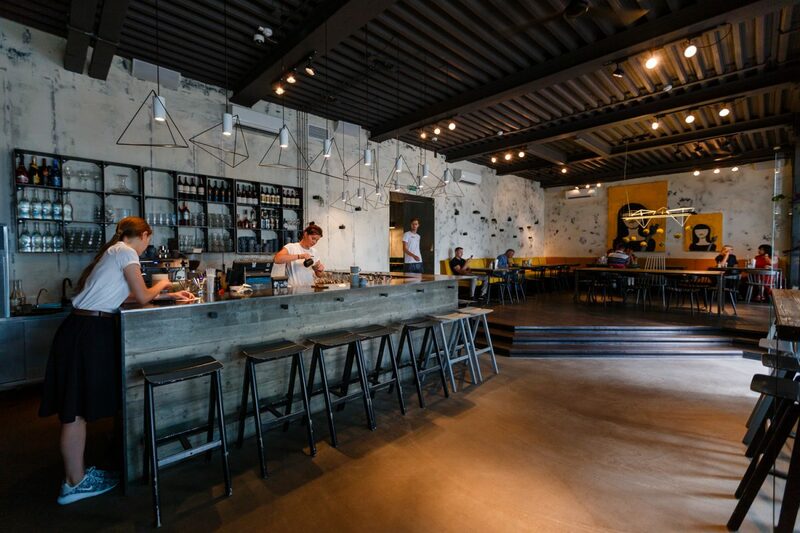 This bar is perfect for almost any occasion: breakfast, lunch, dinner, or partying. So go for a good glass of wine and cheese, check out the locals, and party away to some good old freedom vibes. 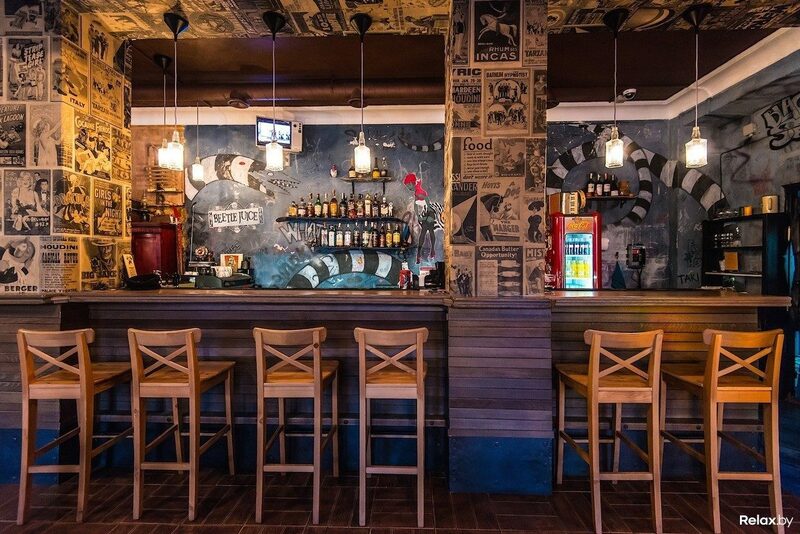 Try out this cosy bar for some Spanish home atmosphere. Enjoy tapas, enchiladas, or paellas on their outside terrace in the summer. Also, they serve most likely the cheapest wine in town. On weekends the bar offers family brunches. This place probably has one of the brightest and most colourful interiors in the city. The cuisine is a fusion of Eastern influences which include Armenian, Lebanese, Uzbek, Turkish, and Georgian. Try their delicious pilaf with mutton (sheep meat), manty, lula-kebab, or homemade noodles. 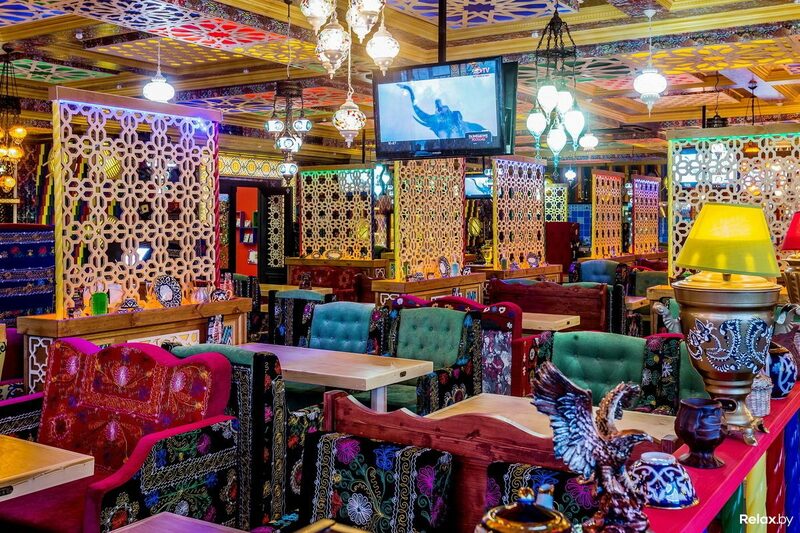 Chill out with a drink or hookah in their atmospheric interior on the ground floor or go upstairs to sing karaoke. Relax on the terrace on a warm day overlooking the Svislac River at Voda. If the weather isn’t great, just go inside and enjoy a simple interior with big windows, nice soft chairs, and azure walls. On the menu you will find a variety of European traditional cuisine such as pasta, tartar and sandwiches. What we really recommend you to try is their lemonades, especially the one with cranberries – it’s fresh and tasty. A restaurant chain with Belarusian cuisine. The name ‘Vasilki’ means ‘cornflower’, which is our national symbol. The interior resembles a Belarusian village house. Here you can try our famous ‘draniki’ and ‘kolduny’ with meat (made of potato, of course) and ‘Salianka’ soup. This café name literally translates as “My English Granny” and will not only remind you of your grandma’s living room, you will also be greeted by a friendly not so British grandma as you enter. The cafe has a large variety of European dishes and drinks. So please try it out! Enjoy jazz and rock-n-roll music here in a very warm and creative atmosphere. This place offers a big menu and interesting interior with street art on the walls, pin-up pictures, and vintage elements. Go back in time by choosing your favourite classic record and let the jukebox do the rest. We love dumplings! In Belarus we call them ‘Pelmeni’! In Muka you can try different versions of homemade pelmeni with meat, fish, mushrooms, or the sweet fillings that we call ‘Vareniki’. You can also watch how they are made through a glass window. Its nice cosy interior will make you feel like you are eating in a home kitchen. Be aware that it’s quite a small place, so if it’s full you might want to take your Pelmeni outside and eat them in the yard of the apartment where Muka is located. This place is famous for its delicious steaks and burgers. 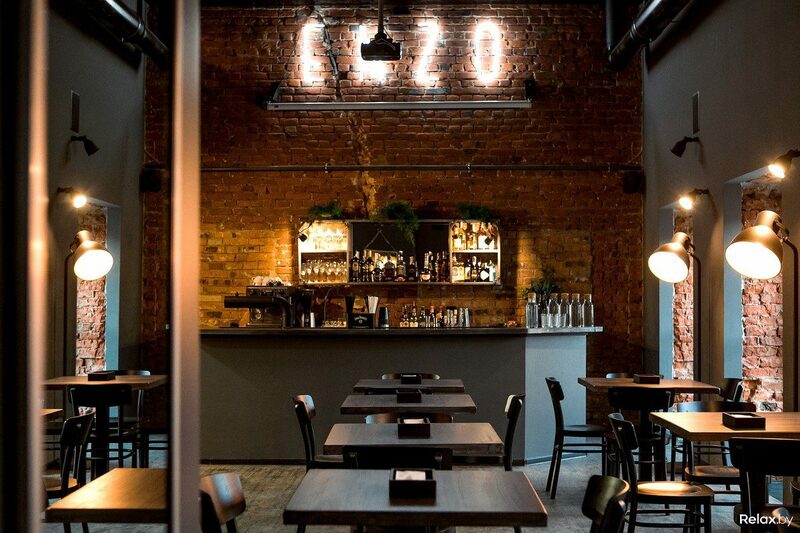 It has a nice black colour interior with brick walls and a bar. We also recommend you try their salads, for example the warm one with turkey and cherry tomatoes. Dine at Tishe Myshi (stands for ‘Be quiet, Mice’!) restobar. It looks a little bit like a basement (but a very elegant one!) where nice mice live. They serve delicious food (we love their stakes! 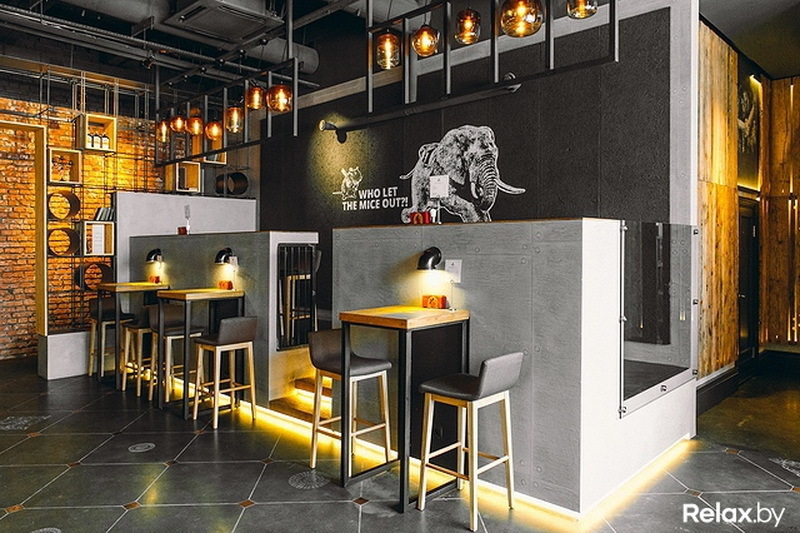 ), unique cocktails, with cosy and glam interior. In the summer there is an open terrace facing a multi-story car park. Yes, not very special. However, in the evening this building is covered in lights and actually looks quite cool.